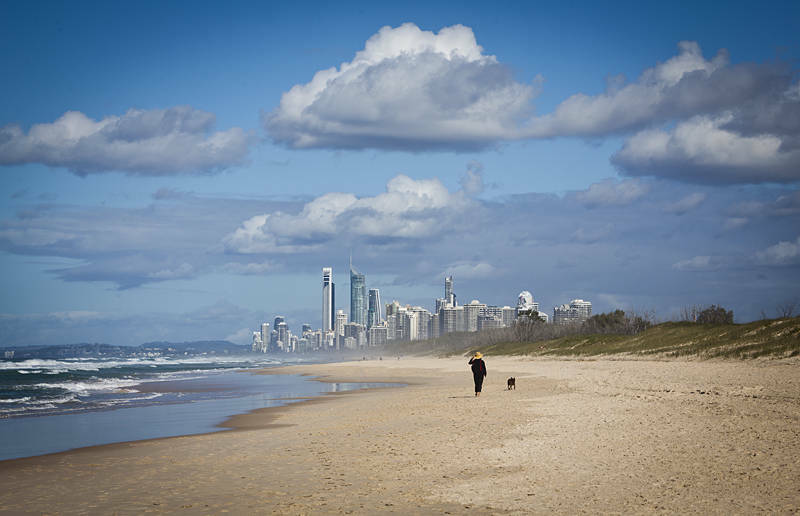 This is The Spit on the Gold Coast in Queensland. It is a sand bar off the coast of Southport and our largest local beach. We biked down there yesterday to look for one of the sets for the new Pirates of the Caribbean film. We heard they had been planting palm trees here for the movie but we found no sign of Johnny Depp. It looks like a science fiction set. How much processing did you do? Initially I only used Camera RAW to boost the contrast. The next day I used Photoshop to remove 3 people in the distance so the dog walker would stand out more. It reminds me of the old book cover for, Stranger in a strange land.